WTOPTV dot NET: THURMONT 08! 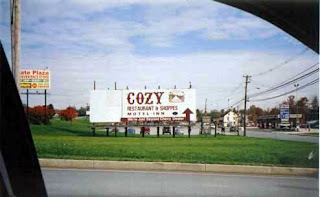 We're meeting in Thurmont, MD Wednesday (Oct. 22) at 12 noon at COZY INN. Here's a list of our friends who have sent in their payment for the lunch ($13) so far, and if there's anyone else who would like to come, bring your wallet and come along. We have room for about 6 more people. The weather forecast is 57 and sunny. It will be nice to see you!